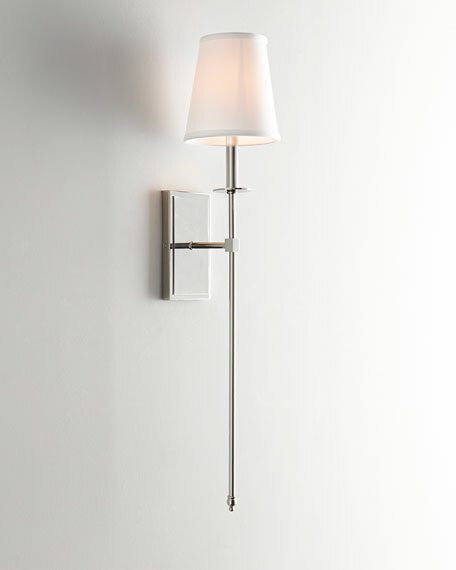 One-light sconce directs light in a downward direction. 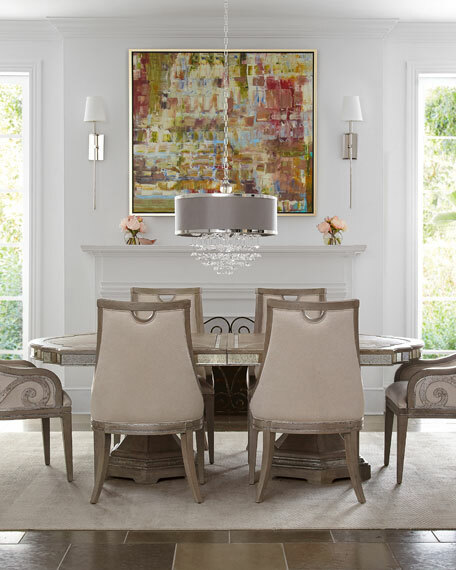 Metal frame with polished-nickel finish. 6.75"W x 8"D x 34.25"T.
Weight, 10.56 lbs; boxed weight, approximately 20 lbs.